For your convenience and safety, we always organise your courses in small groups, Full equipment is included . This course is a subset of the PADI Advanced Open water course. 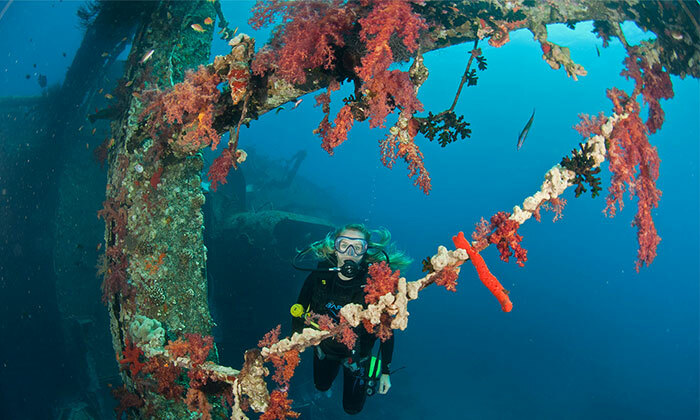 Your PADI Instructor will help you choose which dives to complete from a vast range of possibilities. 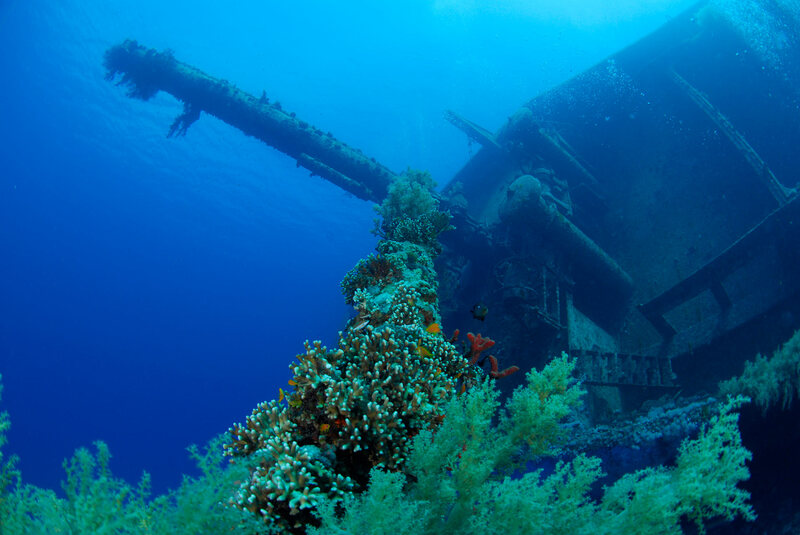 Complete just three Adventure dives and earn the Adventure diver certification. It’s a great opportunity to work with your instructor to build your Scuba skills and gain more confidence. Each Adventure dive may credit toward the first dive of the corresponding PADI Specialty Diver course. 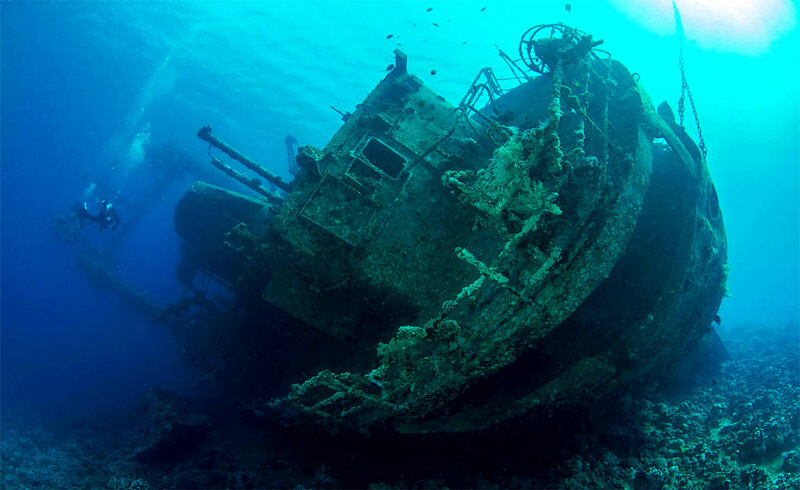 Some popular examples of Adventure Dives are : Peak Performance Buoyancy, where you can work and fine tune your buoyancy skills or a Wreck dive or a Deep dive. Exploration, Excitement, Experiences! That’s what the Padi Advanced Open water course is all about. You don’t have to be advanced to take it – it’s designed to advance your diving, so you can start right after earning your Padi Open water diver certification. The course helps building confidence and expand your scuba skills through different Adventure dives. You try out different specialties while gaining experience under the supervision of your Padi instructor. Each Adventure dive may credit toward the first dive of the corresponding Padi Specialty Diver Course. This course will train you in the basics for CPR and First Aid with the same priorities and techniques used by paramedics and doctors. 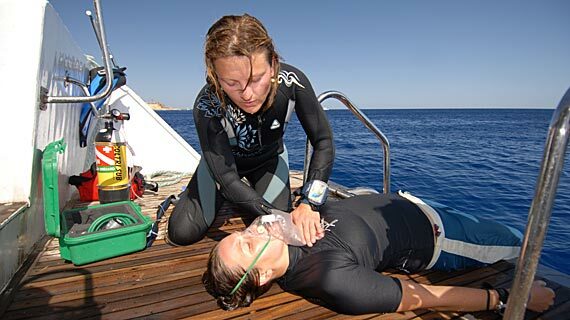 It’s a course for divers and non-divers, a course for everyone which ultimately could save lives. Taking this course can make a real difference to your ability to deal with emergency situations, it will give you the confidence to act. If you are considering taking the Padi Rescue diver course, you will need to complete the Padi emergency first response course beforehand. Scuba divers describe the Padi Rescue diver course as the most challenging, yet most rewarding course they’ve ever taken. During this course you learn to prevent and manage problems in the water. 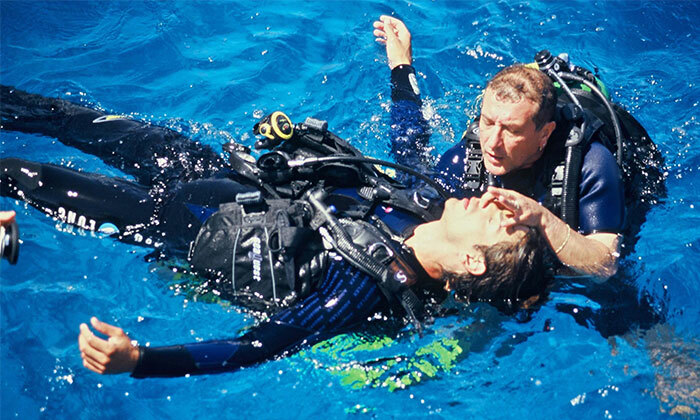 You ‘ll become more confident in your skills as a diver, knowing that you can help others if needed. You will manage 2 emergency scenarios and you ll have loads of fun during this course. Before starting module 2, it is necessary that you have completed an Emergency First Response course within the last 24 months, or an equivalent certification including Primary care (CPR) and Secondary care (First Aid). Now you are 1 step closer to the Padi Master Scuba diver rating or to becoming a Padi Divemaster. Fewer than 2 percent of divers ever achieve this rating. When you flash your Master Scuba Diver card, people know that you’ve spent time underwater in a variety of environments and had your share of dive adventures. The path starts with earning a Padi open water certification, followed by Padi Advanced Open Water and Padi Rescue diver (or qualifying certifications). You also need to earn five Padi Specialty Diver certifications and have logged a minimum of 50 dives.